Day 2 begins with hopes that it won't rain anymore and with more precise hopes that Indian bowlers would also repeat the performance that the South African bowlers did on day 1. Day 1 which was badly hit by rain allowed only 38.1 overs of play which totally belonged to the South African bowlers. Indian batting line up (which is the strongest batting line up on paper) was completely shattered as they were 136 for 9 on day 1 at stumps. Steyn took 3 and Morkel took 4 wickets. Notable contributers were Sachin (36), Dhoni (33 not out) and 27 from Harbhajan. A score of about 150 is not enough on any pitch and hence the Indian bowlers have to perform pretty well if India has to survive in this match. Probably a regular rainfall might be a saviour for India but cricketing world expects much better display than what India has showcased today. 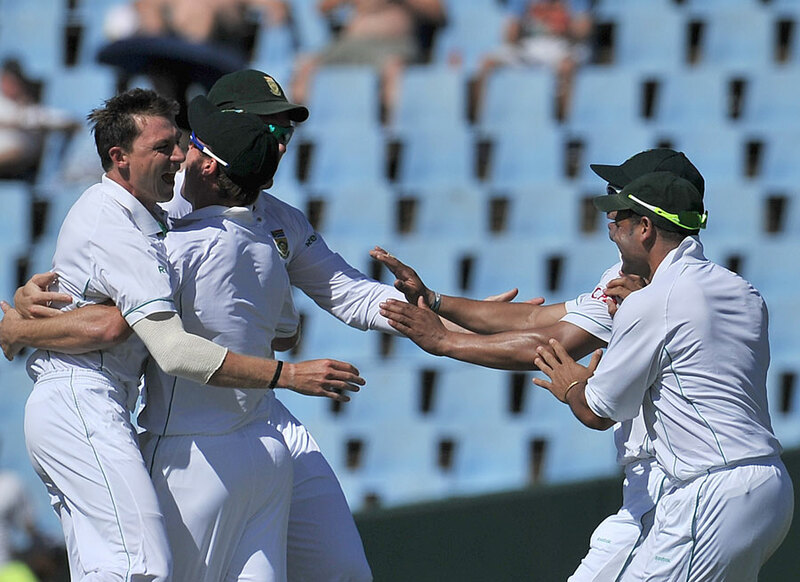 Stay tuned as this India Vs South Africa match is entering into an interesting stage on day 2.